April 15, 2011. 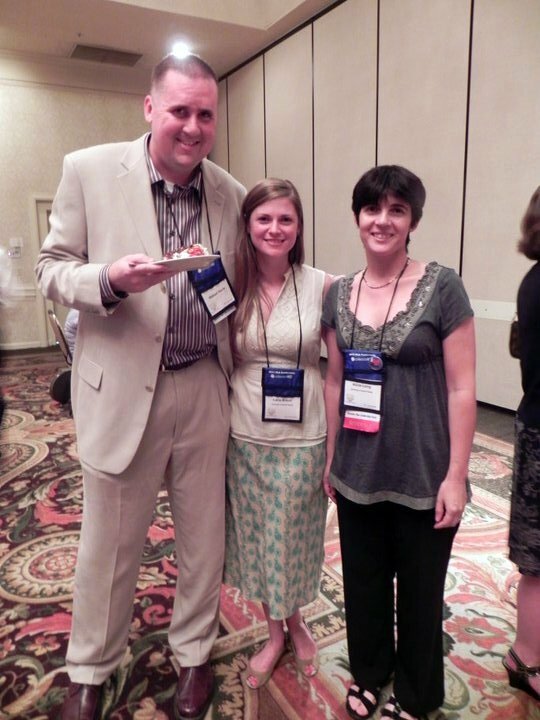 SIS has awarded 3 student scholarships to attend the Florida Library Association Annual Conference in May. This year's winners are Lana Brand, Bill Harris and Alicia K. Long. Congratulations to all three students. 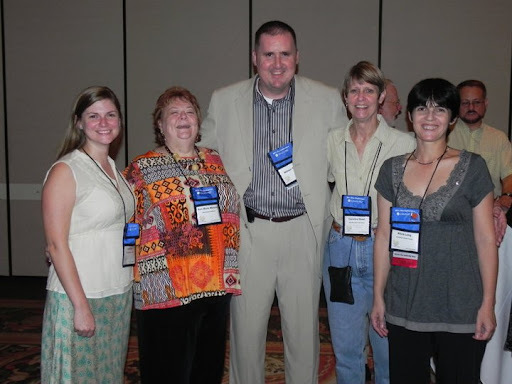 1st photo: Lana Brand is on the far left, Ann Marie Maloney (SIS Scholarship Winner 2009), Bill Harris, Caroline Reed, and Alicia Long. 2nd photo: Bill Harris, Lana Brand, Alicia Long. These students have written reports about their experience. 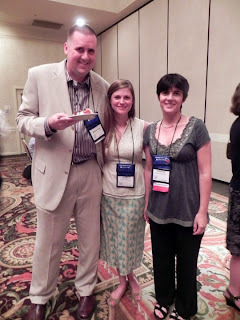 The Suncoast Information Specialists is accepting applications for three student scholarships to attend the 2011 Florida Library Association Conference at the Doubletree, Orlando, Florida. The maximum amount of the award is $150. Please submit application to creed@ncf.edu. See the Application Form for specific details. Deadline for submission is April 1, 2011. Winners will be notified on April 11, 2011. If you have any additional questions, please contact the SIS Scholarship Committee Chair, Caroline Reed, at creed@ncf.edu.